This waterfall formed after maybe ten minutes of rain. 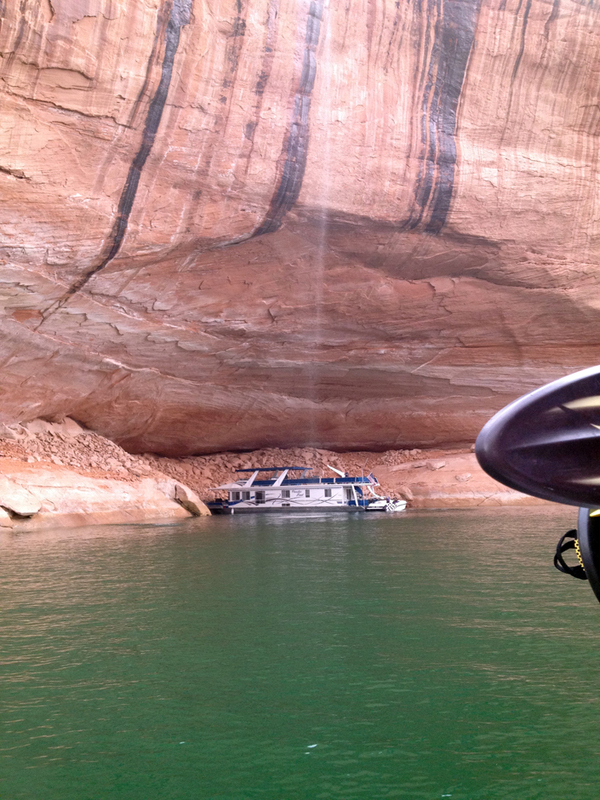 We were boating up Forgotten Canyon in Lake Powell when the blinding downpour drove us into a small cove. 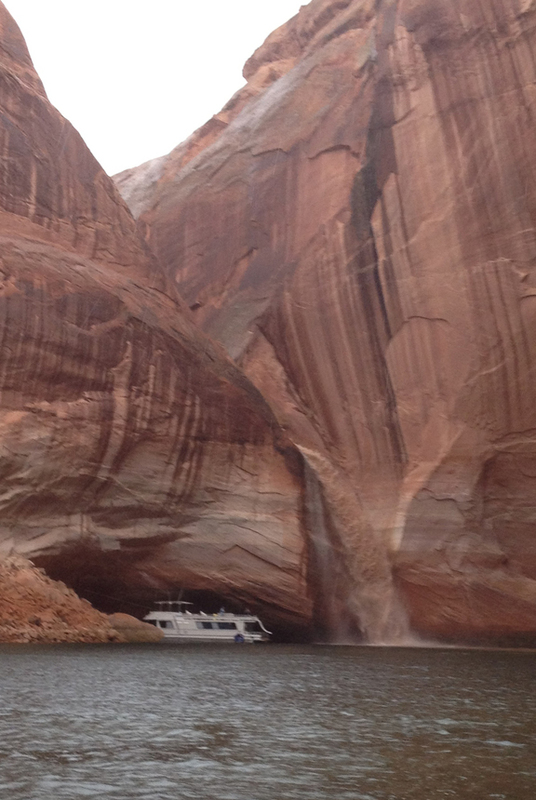 Waterfalls streamed down the rock walls on all sides as we tried to secure the rain cap over the boat. I was too focused on snapping the cover down to see anything beyond the walls spinning in front of me as the boat tossed in the current. Spouts of water appeared from the high edges above us (sometimes out of the wall itself). I barely heard the crack of thunder but I sure heard the yells of my family, “Move the boat, move the boat.” My dad gunned it just as the waterfall exploded, spraying water and mud across our hull. (The houseboat isn’t us). The day before, the storms hit a bit more gently, and we swam through the waterfalls of Clear Creek Canyon. I told my nephews that they will probably never see anything quite like that again. I took the video below in Clear Creek Canyon. Utah Lake, Fun or Eww?